With a population of 800, the Tapanuli orangutan is the most endangered Great Ape species on the planet. Mandarin Oriental is complicit in reckless behavior that threatens their very survival. The Tapanuli orangutan was identified as a species of 2017, the first time since 1929 that a new Great Ape species was found. It is now one of just eight members of the Great Ape family -- including humans. Mandarin Oriental Hotel is owned by the giant British conglomerate Jardine Matheson. 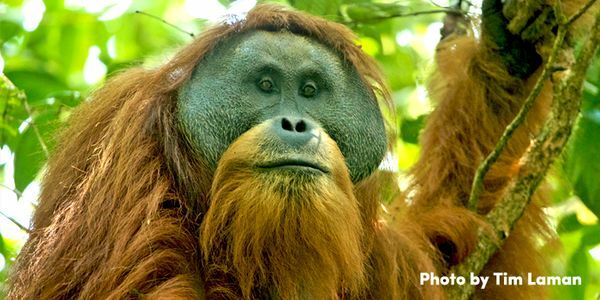 Jardines has also purchased the Martabe gold mine on the Island of Sumatra, in Indonesia -- home to the world&apos;s only population of Tapanuli orangutans. This mine uses a huge amount of electricity to operate its smelters. In the name of meeting the demand for electricity, the state-owned utility has sought backing from Chinese financiers and hydro companies to build a hydroelectric dam right in the middle of Tapanuli orangutan habitat. The dam company has already started destroying forest to make room for the dam and support roads. This dam would permanently fragment the Tapanuli orangutan&apos;s habitat, breaking the forest into areas that are too small for them to survive over the long-term. With a population of 800, the Tapanuli has no room for error in the fight for its existence. There is a massive geothermal energy plant just miles away from the mine that could be further expanded to provide more clean electricity than the dam ever would. As the owner of Indonesia&apos;s largest company, Jardines has the influence to help stop this dam and save the Tapanuli. That&apos;s why we&apos;re calling on them to use this influence. Mandarin Oriental Hotel and Jardines Matheson: now is the time to stand up for endangered species --break your complicity in the deliberate destruction of orangutan habitat.